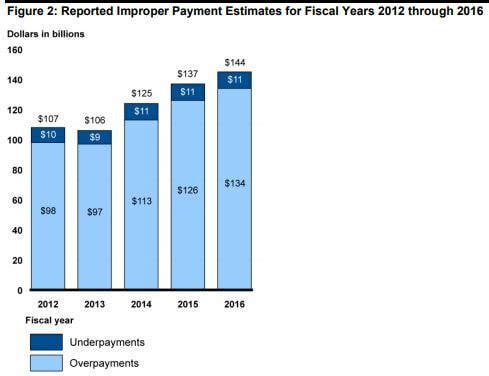 Note: Generally, the specific programs and total number of programs that constitute the governmentwide improper payment estimate vary from year to year. In earlier years, the number of programs included in the government-wide estimate generally increased as programs reported improper payment estimates for the first time. 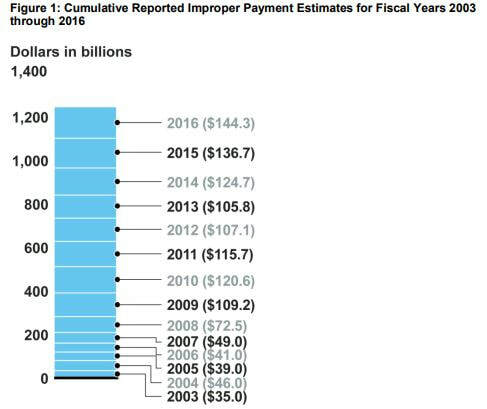 In other words, as more programs are implimented, more improper payments are made.